Lungs are the principal organs of the respiratory system. They function in concert with the heart to provide a gas exchange unit that facilitates uptake of oxygen and elimination of carbon dioxide from the blood as it traverses the pulmonary capillaries. Oxygen from the lungs is required for the production of energy for all biological processes and carbon dioxide is a by-product of energy release and metabolism. 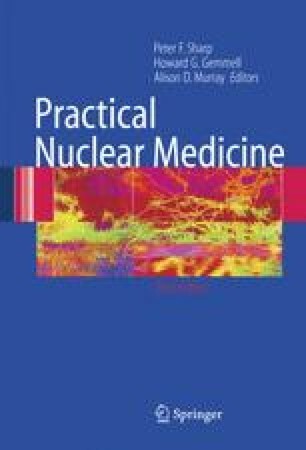 The techniques of nuclear medicine can provide a window through which the normal functioning of lung (physiology) and the abnormal function resulting from disease processes (pathology) can be studied. This unique view of lung function has assisted the diagnosis of venous thromboembolism (VTE), otherwise known as pulmonary embolism (PE), from chronic obstructive or parenchymal lung disease formore than thirty years.Therecent introduction of computed tomographic pulmonary angiography (CTPA) has been a most welcome addition to the diagnosis of VTE. It is an elegant technique for direct imaging of thrombus within segmental and larger pulmonary arteries and is complementary with the nuclear medicine tests.